Many of you saw this in my LEGO S@H haul some weeks back, and finally it has come to life! 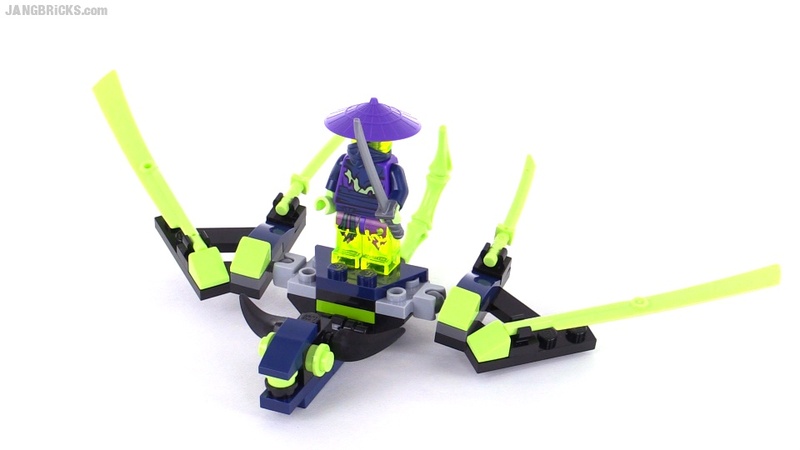 Funky little thing, but actually not as good of a set (in my opinion) as I expected. 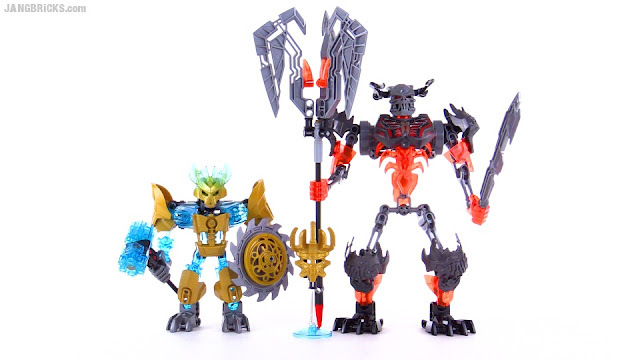 The Summer 2015 Bionicle villain wave apparently began appearing in various stores a few weeks ago. I'm sorry that I'm so frequently so late to the party, but I try to get new releases as quickly as reasonably possible. Here's my first review from the line. 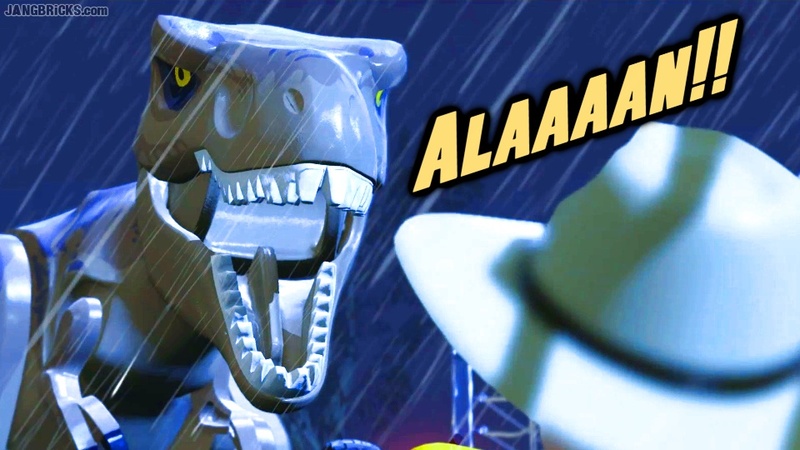 Today's LEGO Jurassic World festivities take us through Gyrosphere Valley, the second level in the title movie campaign. Wanna know a secret? I finished every campaign level for every movie and collected all of the amber awhile ago. I just can't publish gameplay videos too frequently, lest I ignite too many flames of viewer protest! Now this is one fantastic little set. 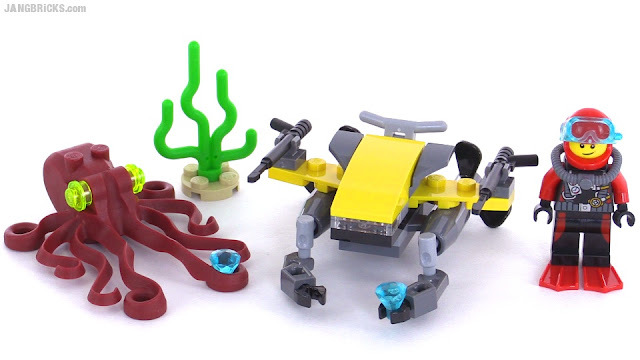 Good play value, good "volume of stuff" for the money, and very useful printed parts & first-ever recolors! 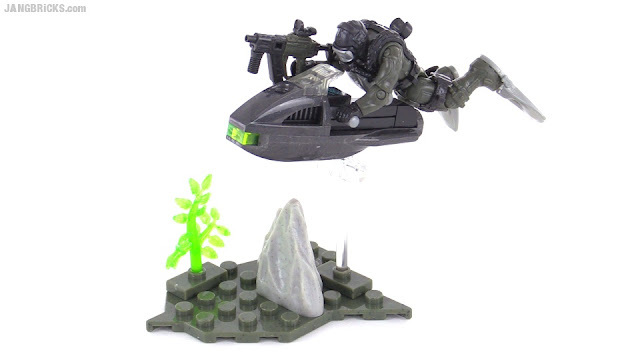 Mega Bloks Call of Duty SEAL Sub Recon set review! One word: Kinda boring. Oops, that was two. Video: Mega Bloks Call of Duty SEAL Sub Recon set review! 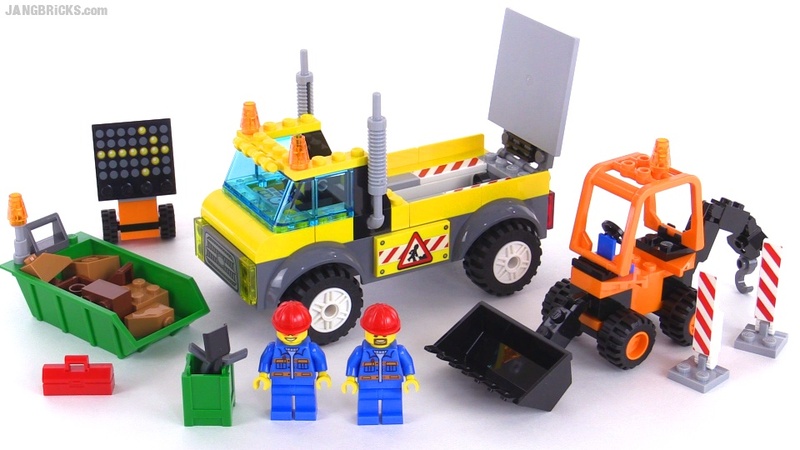 LEGO city update & walkthrough Jun. 2015! 246 sq. ft. layout! 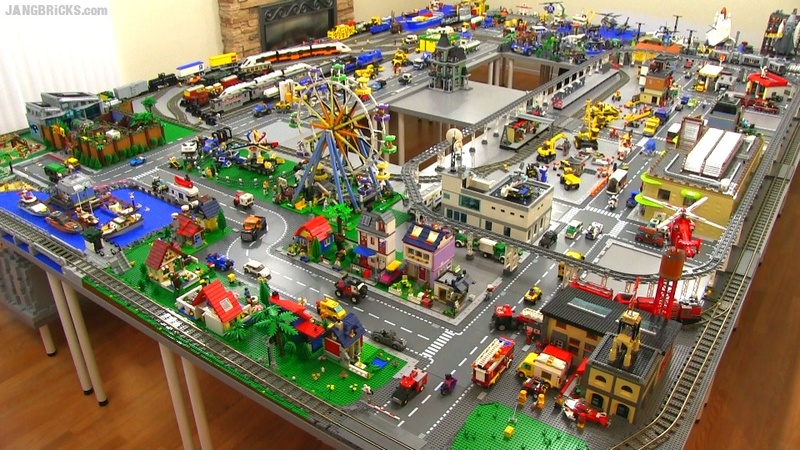 Video: LEGO city update & walkthrough Jun. 2015! 246 sq. ft. layout! 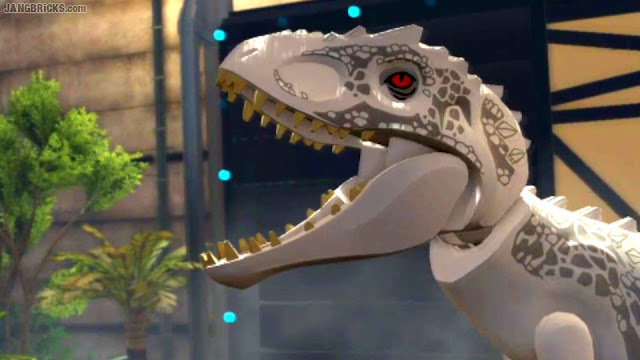 It's Indominus time! With Jurassic Park done (the first time through, at least), I've skipped ahead to the actual Jurassic World movie campaign, and so far, it is good. 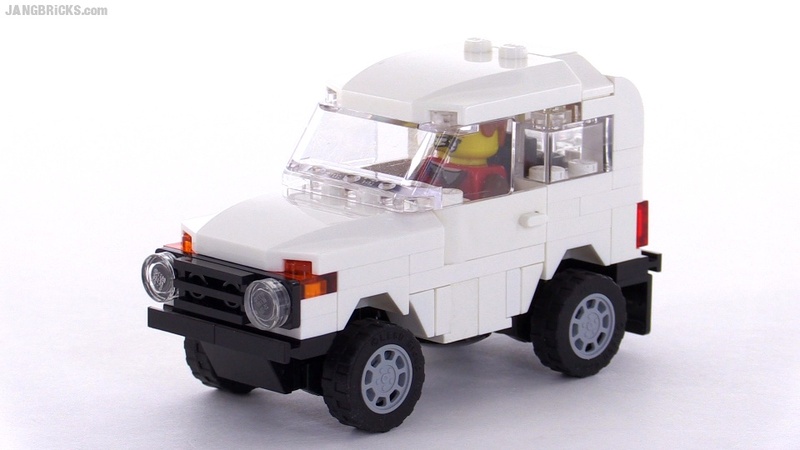 LEGO Lada Niva 4x4 custom MOC! 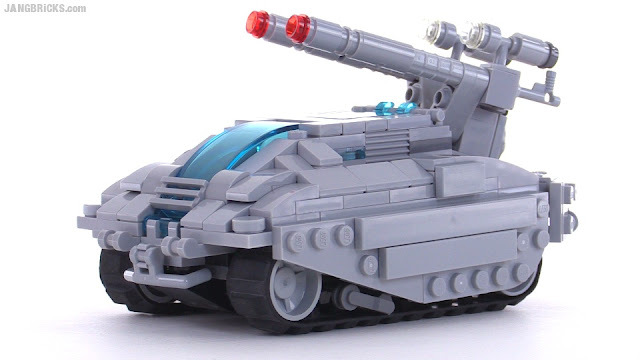 While tensions between the US & Russia have been on the rise in recent months, I've continued to see a lot of support & viewership from Russian LEGO fans, so I decided to do something specifically as a tribute & thanks to them for their support. 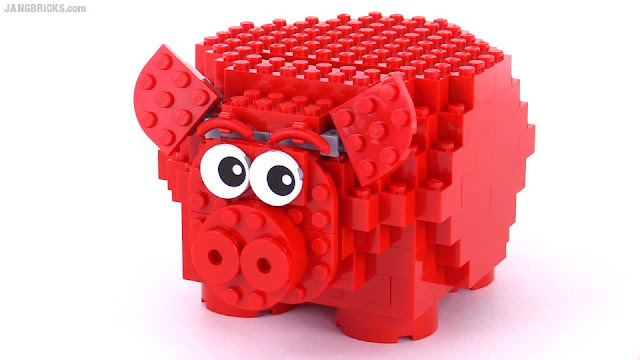 LEGO over politics! Video: LEGO custom Lada Niva (Лада Нива) / VAZ-2121 MOC - Thank you Russia! Yet another summer Friends set (and quite appropriate for the season), with more to come! 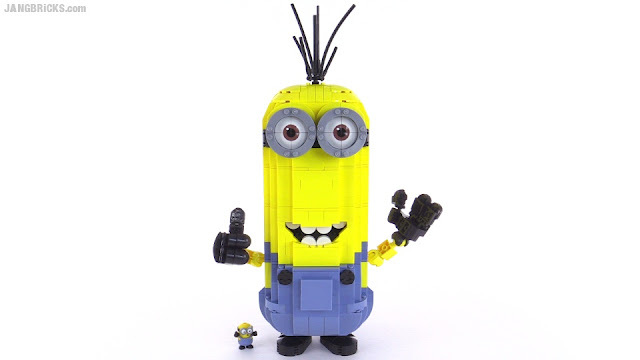 Mega Bloks large Build-A-Minion set reviewed! 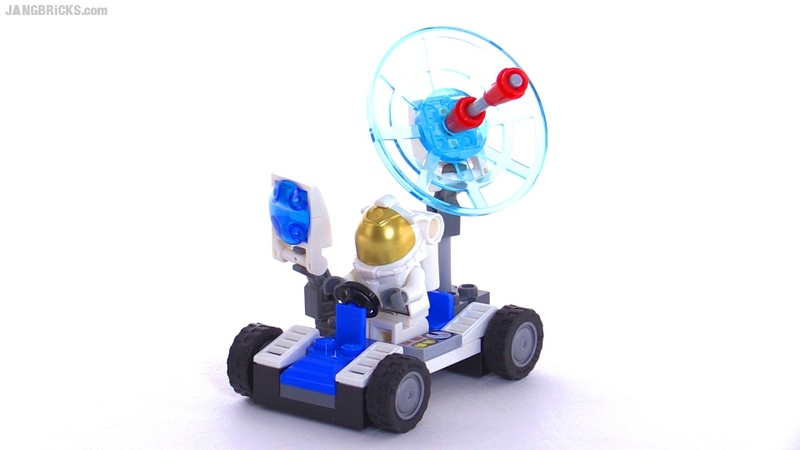 The moment I saw one of these for sale I immediately began rushing to buy it, even before I had a chance to fully comprehend what I was looking at. I'm glad I did. This thing is great. It's classic cutesy brick-built fun. 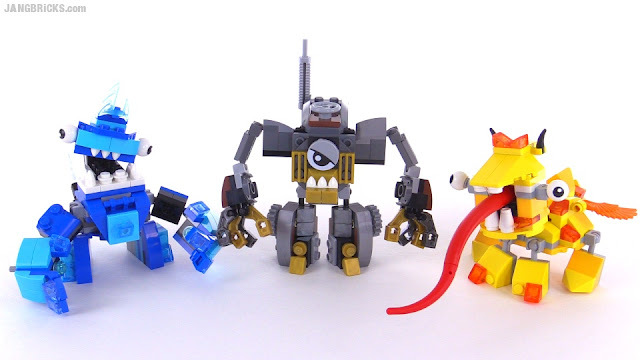 Video: Mega Bloks large Build-A-Minion set reviewed! Welcome Deathstroke to the LEGO minifig universe! 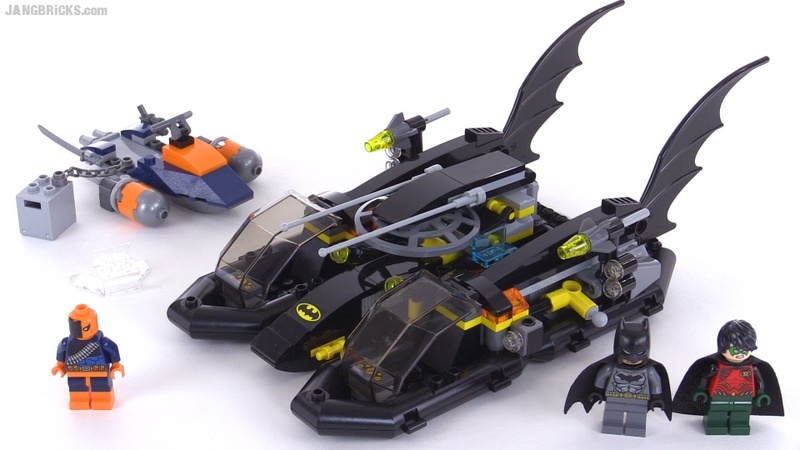 Oh, and Batman's here, too, along with some other character. 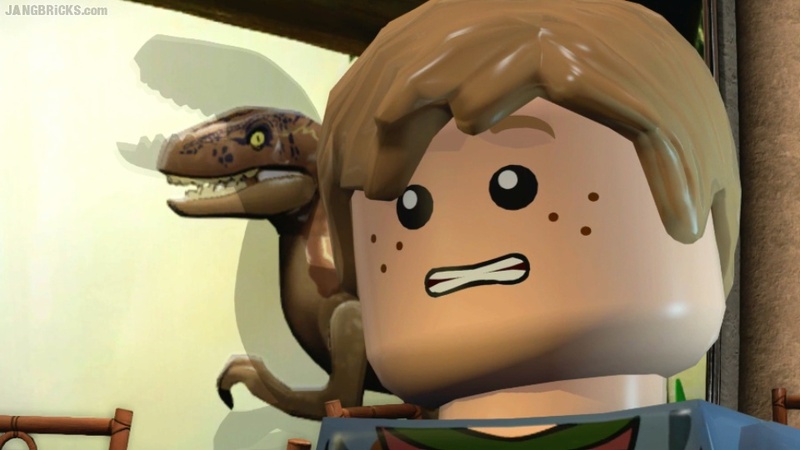 LEGO Jurassic World gameplay - finishing Jurassic Park! The time has come for one thing to end and another to begin. 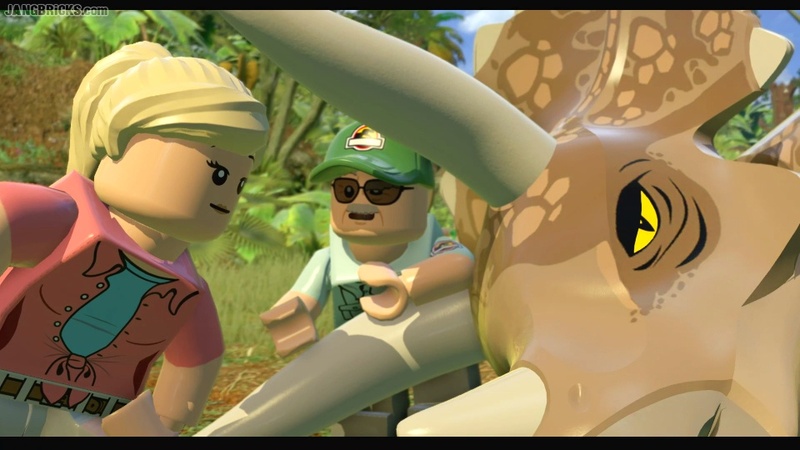 Here are the last two narrated gameplay videos for the Jurassic Park (1st movie) campaign in LEGO Jurassic World. 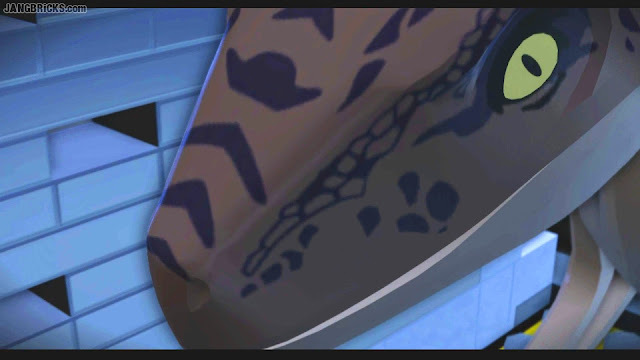 Blog viewers get to see the last one before anyone else :) Next, I'm happily skipping up to the actual Jurassic World campaign to see how they handle that recent movie and also to pick up some of the really useful unlocks for free play! Bringing a close to the latest series of LEGO Mixels, here are all three of the Max combinations for the season in one video. Blog viewers get early access to this third gameplay video from the LEGO JW JP1 campaign. The first half is a bit uninspired in my opinion, but then things steadily pick up, with my favorite moments all coming in the last 6-7 minutes. For folks who don't want to spend big bucks on the unwieldy collection of huge, specialized pieces known as set 41109, they made this significantly smaller plane that actually has comparable detailing & passenger capacity! 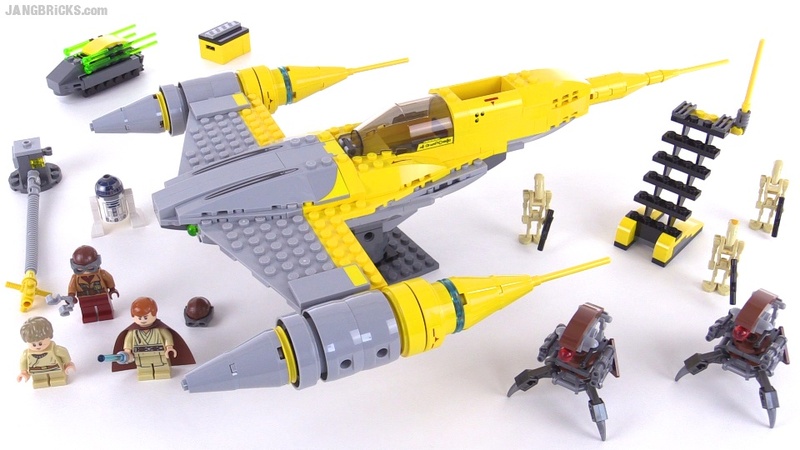 So, this is a thing LEGO made a long time ago. They then made it again. They then made it again, and again, and again. Now they've made it yet again. The most recent three versions are all quite very similar in outward appearance, showing that they're operating right near the limits of maximum design prowess, given the constraints of available shapes of pieces. 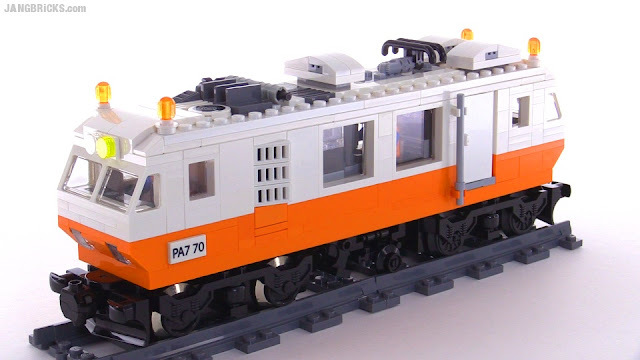 However, they have managed to continue to squeeze in incremental updates, and I feel this latest rendition really shines as an entire set, not just a recognizable model. 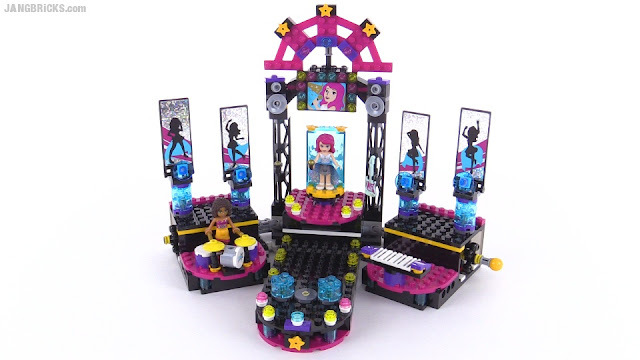 Introducing Livi, the new LEGO Friends character who gets somewhat of a sub-theme of her own this season. Plenty of folks have asked me to do gameplay videos, but I've been exceptionally reluctant Finally I decided to give it a try. 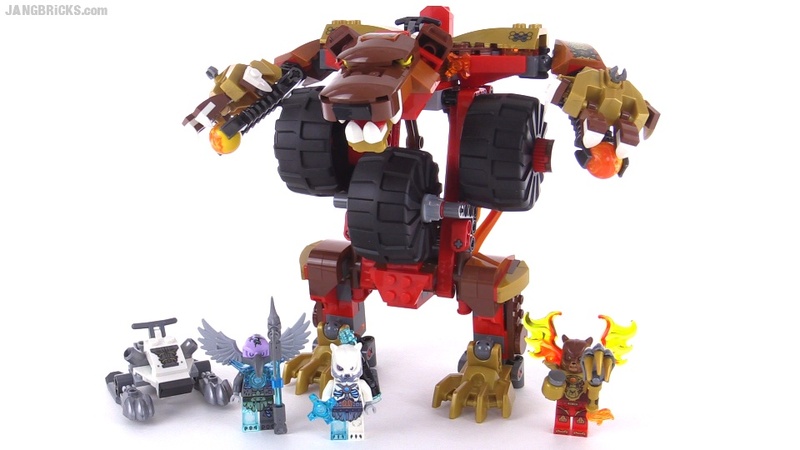 Being new to this type of video, I will surely be making a lot of mistakes and need to fix a lot of things & grow a lot over time, just like I've done with my reviews & MOCs. My intent as usual is to try to find my own style, not following any previously established examples. What actually feels natural to me is focusing a little extra on the LEGO side of the visuals & gameplay, rather than the well-known scripts of the original source material. There's just a ton of stuff in these games that anyone & everyone can & has talked about, and I want to bring something less common to the table, if possible. 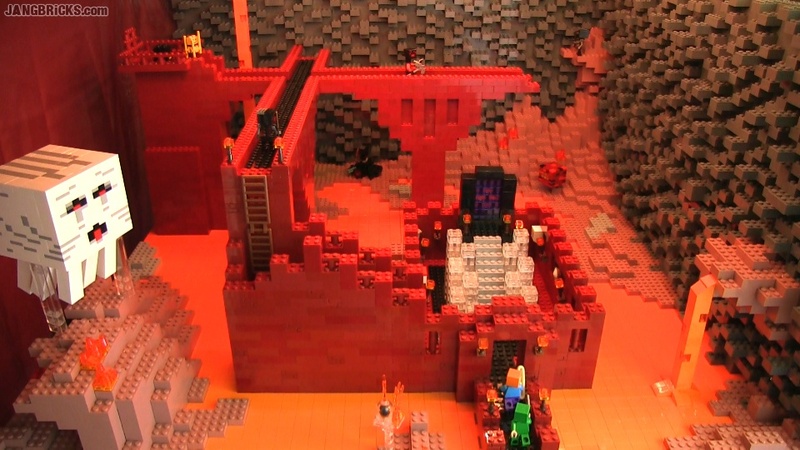 Do note that this first-ever gameplay video does not mean the end of reviews, MOCs, and my city. It does not mean I'm turning JANGBRiCKS into a gaming channel. It's just some much-requested additional entertainment content, the key & operative word being "additional." Finally another MB CoD set, but why so tiny, and why something from MW3? Where are the AW sets already?! 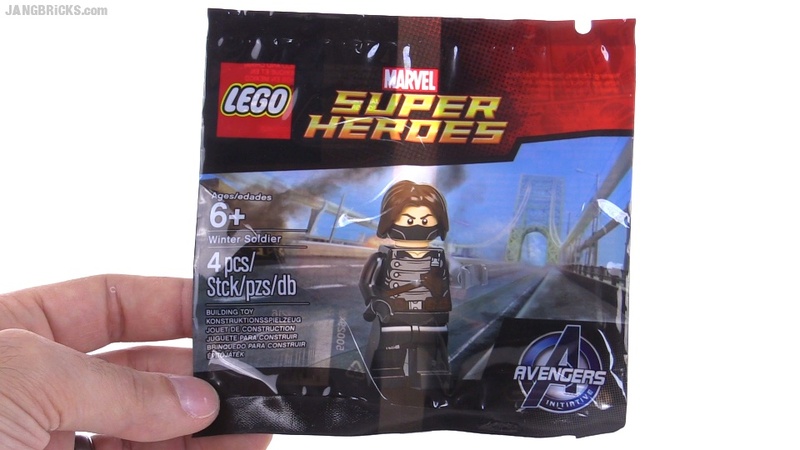 Promotional polybag time! In the US, this was a bit of a late release as initially a Gamestop exclusive preorder bonus for the LEGO Jurassic World game. 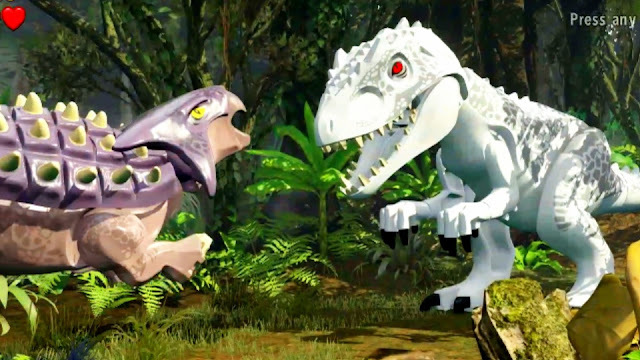 LEGO Jurassic World sets vs. Movie - How'd they do? This evening my wife & I watched the Jurassic World movie and quite enjoyed the experience. 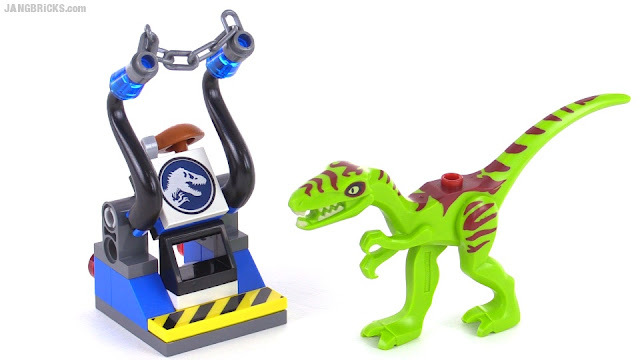 However, it gave me a 2-hour opportunity to finally compare the LEGO JW sets to the actual source material. Some things were spot-on, within reason. Others? Definitely not! In this video I take one last look at the sets and give my thoughts on the good & the bad from a perspective of authenticity. 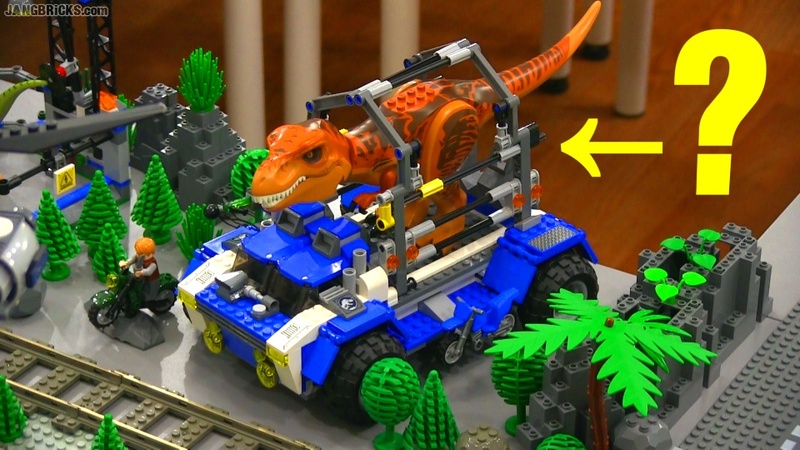 Video: LEGO Jurassic World sets vs. Movie - How'd they do? 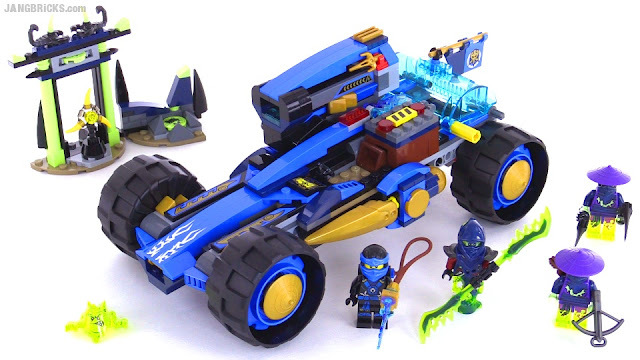 Yet another summer 2015 LEGO Ninjago set, this one introducing Cole's major vehicle of the season. This Marvel universe minifig has been making the rounds for quite awhile, but I just got my first one and thought I'd share a look at the figure inside. Video: LEGO Super Heroes Winter Soldier minifig polybag opened! LEGO City Deep Sea Exploration scene - ALL 2015 sets together! 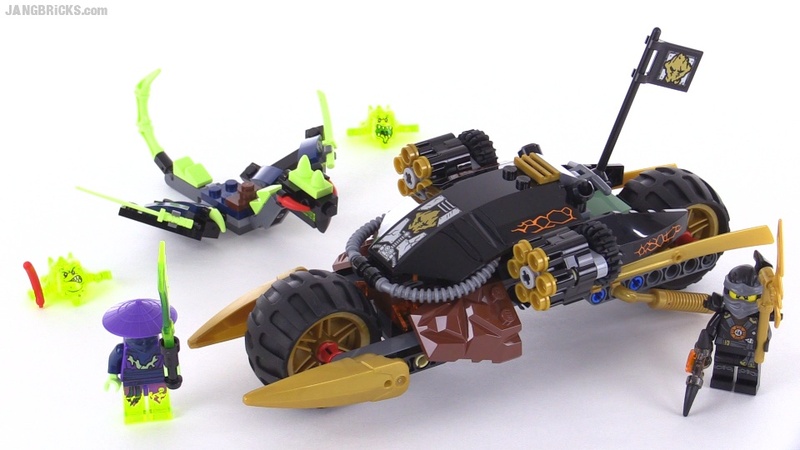 Now here's a video I've been looking forward to presenting for over four months, since the production prototypes of these sets were first revealed! 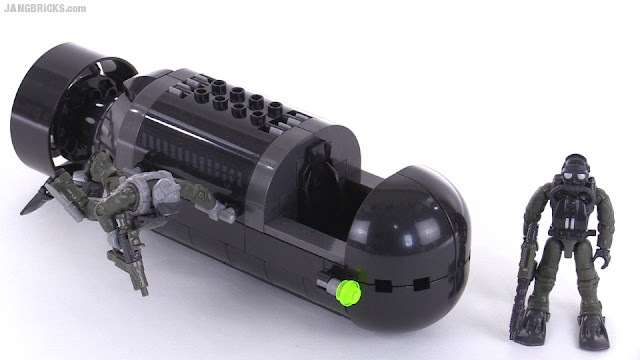 Video: LEGO City Deep Sea Exploration scene - ALL 2015 sets! 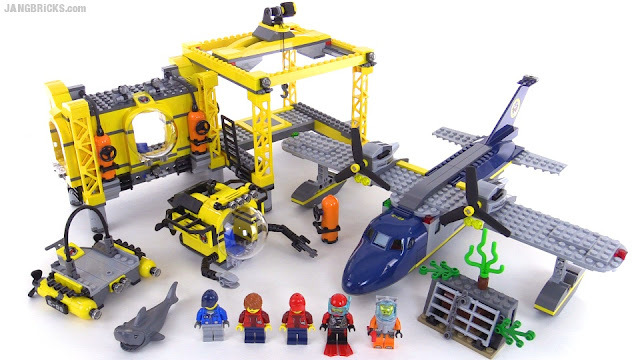 I've put out all of the Summer 2015 LEGO City Deep Sea Exploration sub-theme sets, with a large simulated seabed forming a cohesive scene with all of the divers & submersibles out collecting salvaging treasures! Directly above, the ship & plane float on the surface, while the helicopter comes in for a low hover. 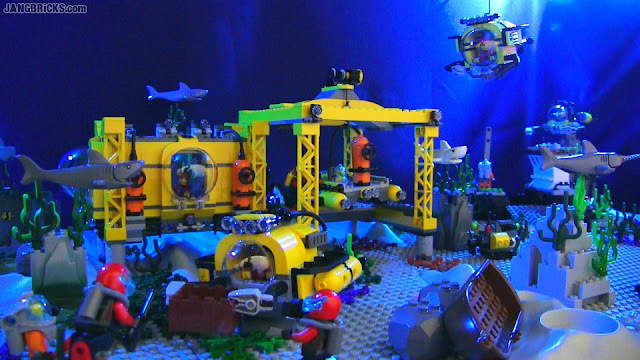 My first time coming out of the LEGO dark ages, my favorite sets were those from the Town Divers subtheme, which spawned one of my first semi-serious MOC projects as an adult, an aquarium & oceanography research center (photo 1, photo 2, photo 3, photo 4). Imagine how happy I am to have it all come full circle! 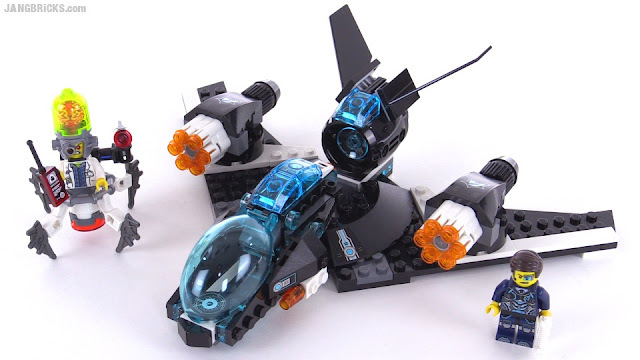 All LEGO Ninjago Airjitsu Flyers reviewed! 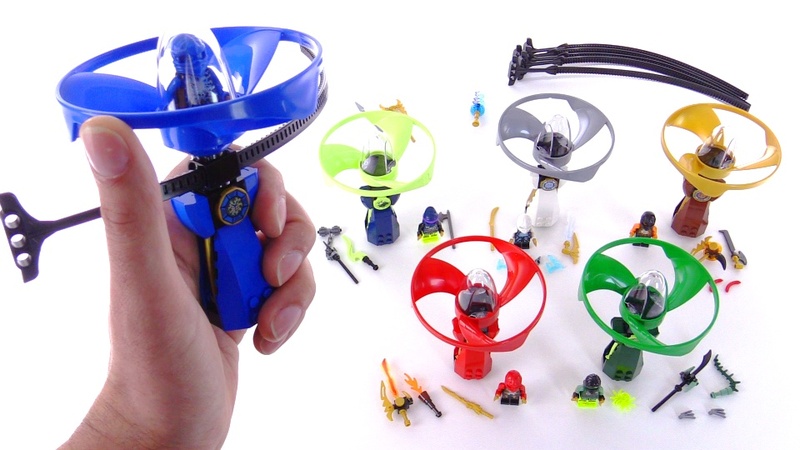 I show the mechanics & components of one at length, including demonstrating high flights outdoors, then I focus on what makes each other set unique, including the figures, accessories, and exclusive printed plaques. 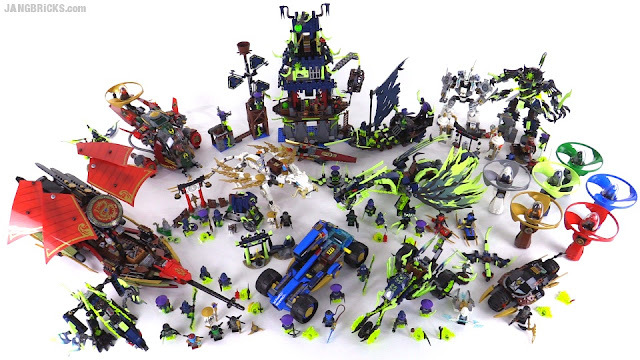 Video: ALL LEGO Ninjago Airjitsu Flyers reviewed! This is the fulfillment of a childhood wish! It's inspired by the Plasser American (now Plasser & Theurer) line of self-powered track recording vehicles that have found use around the world like the EM-50, EM-80, EM-100, etc. It's not intended to be a replica of any very specific car, though, instead drawing inspiration from a variety of models from the past few decades. All LEGO City Summer 2015 Space sets together! With of the summer 2015 LEGO City space exploration subtheme sets reviewed, the last of them has found its predetermined place down at the temporary display area of my city layout. I think they look quite nice together, but it sure isn't a replacement for Classic Space. 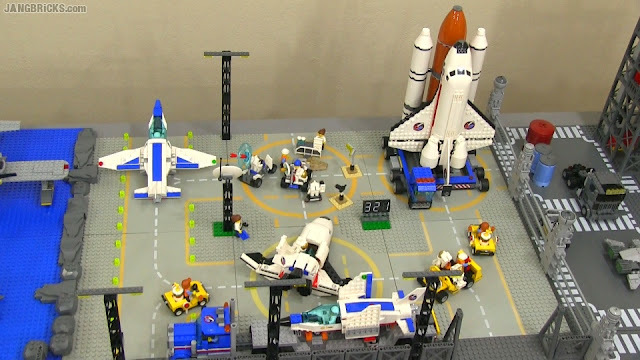 Video: All LEGO City Summer 2015 Space sets together! 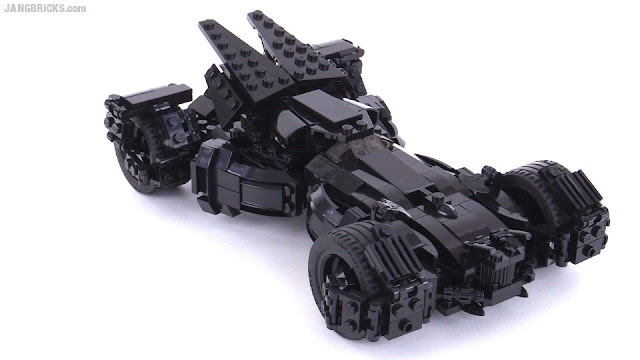 This is a MOC I originally revealed in September 2014, but given today's feverish worldwide first unveiling of the official 1:1 scale vehicle, I thought it'd be a good time to go back & see how well or poorly I did based on the few incomplete prop teasers & leaks I had for reference back then. 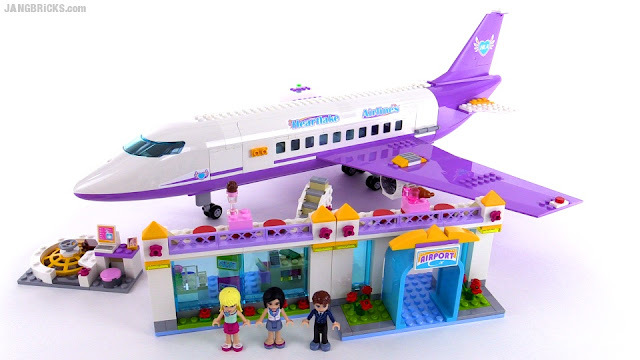 New LEGO Friends sets were released in many countries late last month and I'm continuing my review series with another of the BIG sets of the line! Wouldn't you know, Jay Walker's Jay Walker One doesn't walk at all. 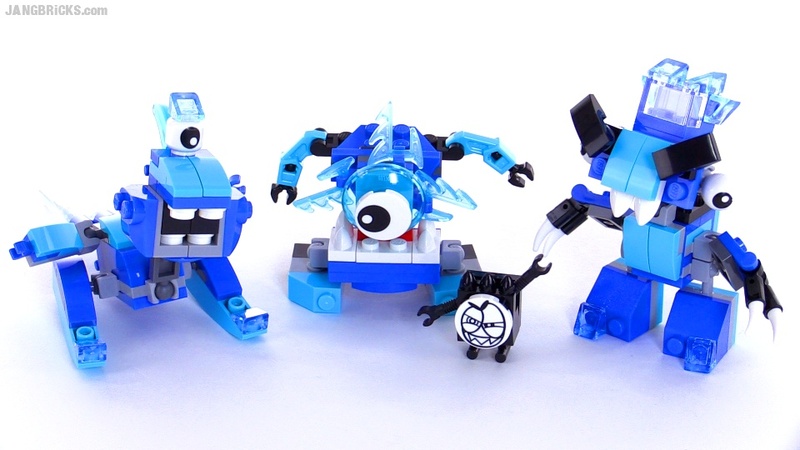 Another series wrapped up, the second group we've gotten of Mixels Frosticons. Given how early official, final series 6 photos showed up, I expect those to pop up in stores before we know it. Video: LEGO Mixels Series 5 review - FROSTICONS! 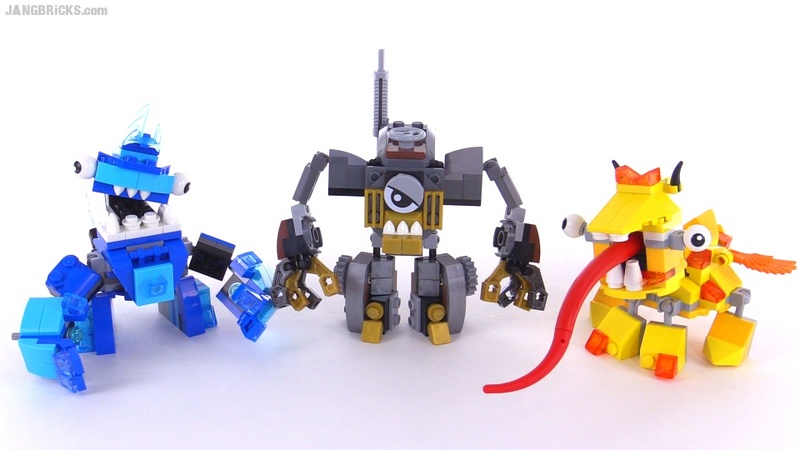 Snoof, Krog & Chilbo! Finally the smallest of the Summer underwater theme sets, to finish the collection! Here's the largest set in this season's deep sea exploration sub-theme of LEGO City. Coming soon: The smallest! As promised, here are both of the latest undocumented active camo figures from the Mega Bloks Halo Series Charlie mystery packs. 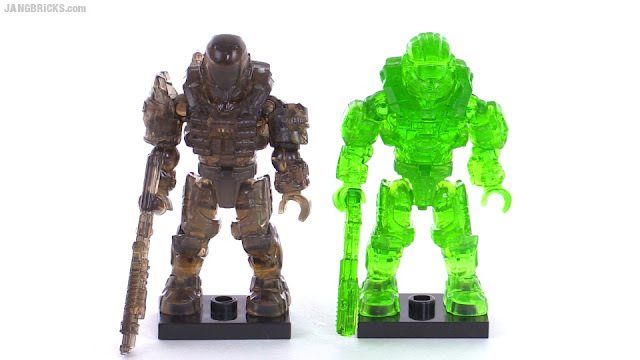 Video: Mega Bloks Halo Charlie Series AC EVA & Hazop chase figures! 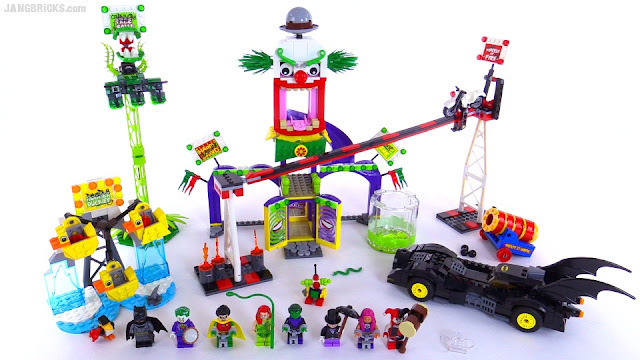 Just a wee little "Super" set here, but it packs quite a value punch. Finally, the very last of the figure packs from that haul I posted on Instagram weeks ago. Not the wait is really on for the serious sets! 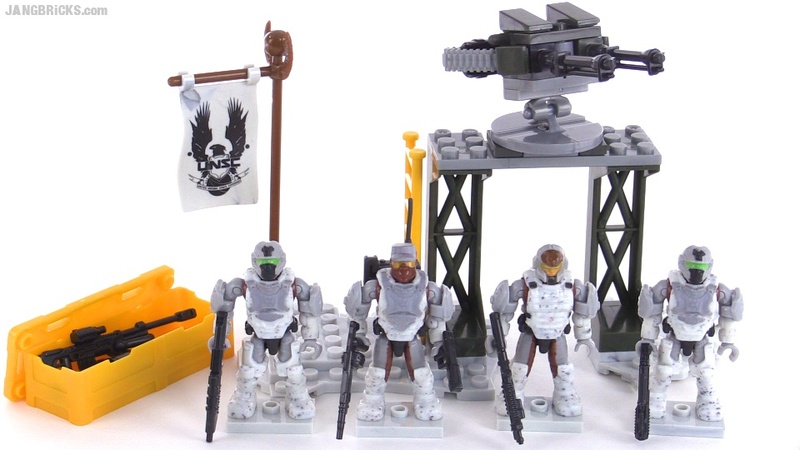 Video: Mega Bloks Halo UNSC Victor Squad review! 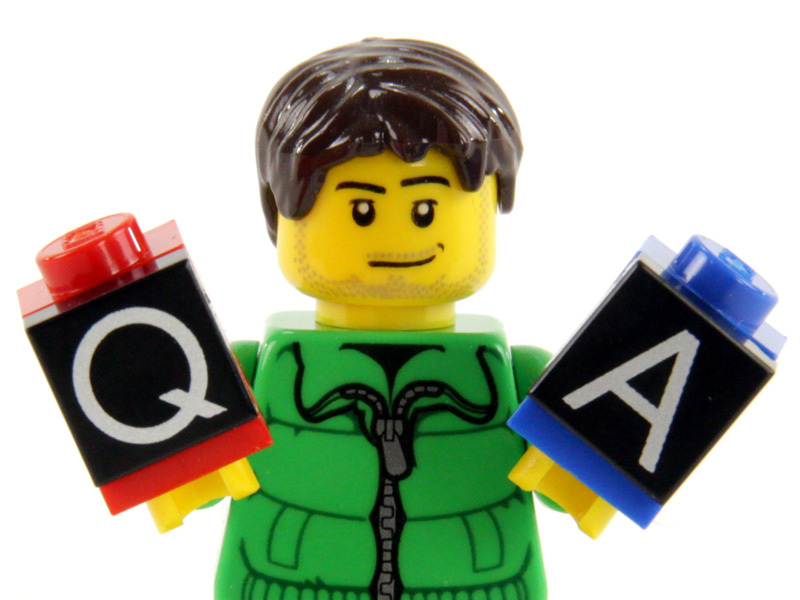 FAQ: Where do I buy from & how do I get sets so "early?" 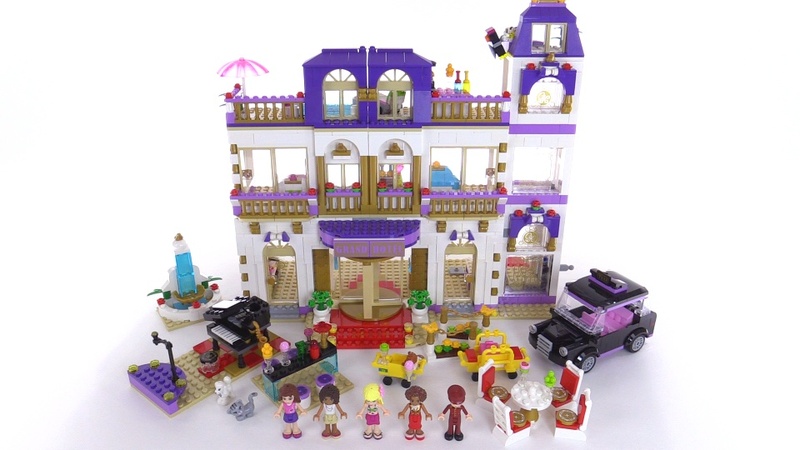 I buy the sets I review at full price from public retail physical and online stores. I am not given them. If I have a set, it is released, and you could have bought it just like I did! 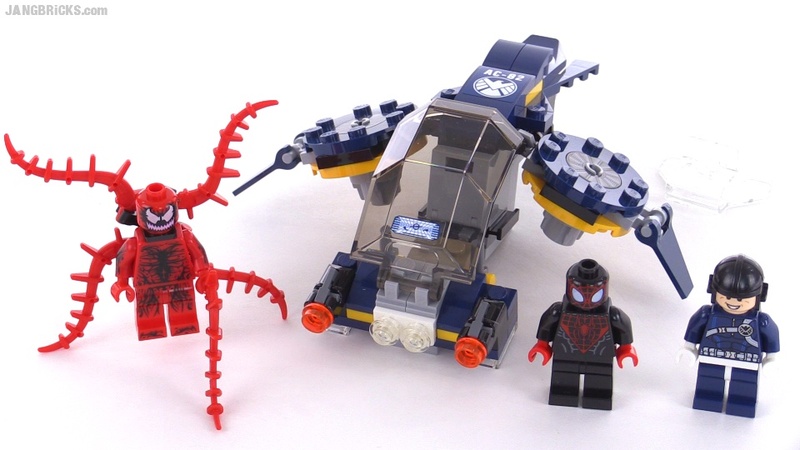 Q: How do you get sets "early" or before they were originally expected to be released? All of the products you see me review I have bought at full retail price from public stores where anyone & everyone else can (see above). There's no secret and I do not accept offers of free products to review on my channel before they're released. Period. Anyone who tries to tell you otherwise is lying to your face. If I bought an item, you could have bought it too. When it's new product release season, viewers expect timely reviews. I check stores (both online and traditional) very regularly and aggressively to try to find items as soon as they're available. Toys are never released at every location in the world at the same time, so if you see me review a set and you can't find it in stores in your region (and you know they stock the product line), just wait, but keep checking everywhere like I do, and it will surely show up. If you can't find it online, it may have sold out already. Again, be patient, keep checking, and it should re-appear. Too many people look at the date on shop.LEGO.com (which is just another retail store) as being "the" release date and then refer to any store putting them out before that date as "early." It's not the case at all. Only a limited sub-set of licensed themes like Star Wars and new movie-related Super Heroes sets have embargo dates (before which sales are contractually disallowed). Everything else is fair game; once stores have the product, they can (and should) sell it. 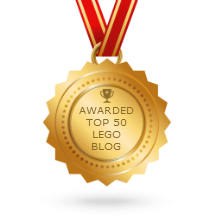 Also, do note that LEGO® is a trademark of the LEGO Group of companies which does not sponsor, authorize or endorse this site. 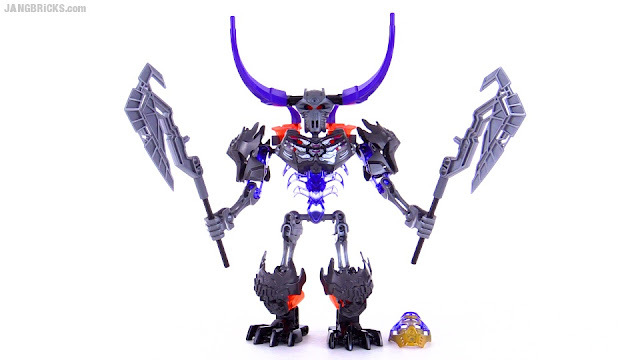 I am not associated in business with Mattel, McFarlane Toys, or any manufacturer. Spread the word! If you wish to challenge these assertions, please contact the manufacturers yourself to verify these truths at their sources. I have explained my independent status very clearly and no longer waste my time engaging with conspiracy theorists who wish to assault my character, often for their own personal gain. DISCLOSURE: I am NOT under the employ of any of the above companies, and NONE of them have ever paid me to create content for them. 45 comments - Post a response! That is how many videos I've published on the JANGBRiCKS YouTube channel over the past month. Ninety-two! Include new content on my Playmobil channel and the total rises to 108. That's more than three for every single day, Monday through Sunday, every week. 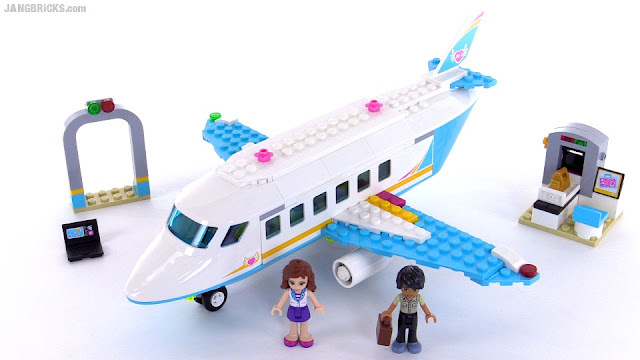 Still another 40 or so brand new summer 2015 LEGO sets on hand to review (with more due to hit stores soon), plus around 25 sets from 2014 & before. This isn't a marathon. It's a 10,000 meter sprint! The Planetary Defense Force has not been forgotten! 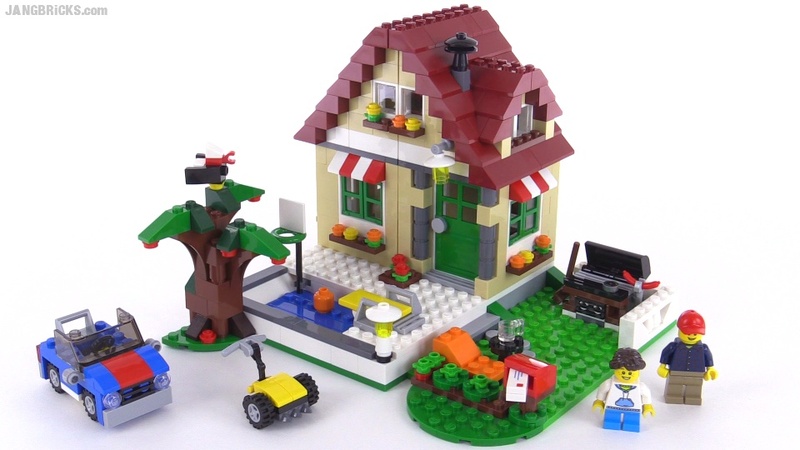 This here is a re-imagining of one of my first brick-based MOCs of my modern LEGO era.